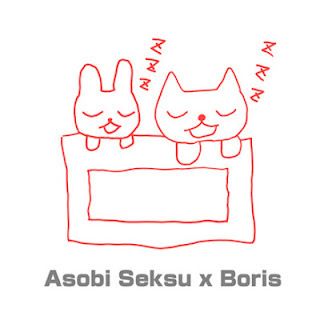 Hey Black Friday shoppers...better off staying at home and picking up this holiday/shop day single on Polyvinyl from Asobi Seksu and Boris who cover each other...it's a preorder, but hopefully you could get this in time for xmas for the stocking. Asobi Seksu are one of those bands I missed somewhere along the way, I know they've been around for over ten years and combine a sort of shoegaze with electronics and their cover of Boris' "Farewell" sounds to be applying those elements to the Boris massive wall of sound, especially when this thing takes off. Shimmery elements float under Yuki's upfront omnipotent vocal andlike the original it takes time to build and even when you know it's coming, the payoff is more insane than you imagined. They make this one completely their own while changing it entirely....the way the best covers can. Boris takes a glitchy hammer to backwards samples, and push "Neu Years" into a cavernous hard space. Whirring mechanics grind and flail around this double kick beat and dreamy vocals. Haven't heard this kind of electronic approach from these guys before, and it's a new side of density to their ever changing style. A single that pushes both of these bands who toured together into new areas. Get it from Polyvinyl Records, or Sargent House. 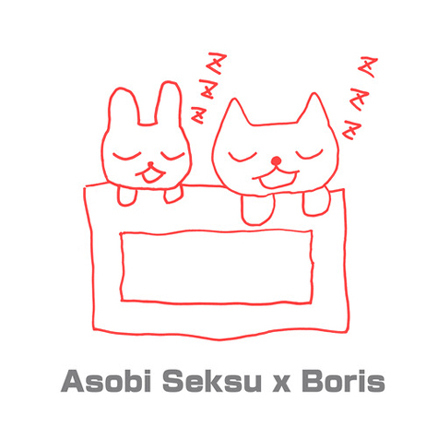 As part of Record Store Day's Black Friday event, former tourmates Asobi Seksu and Boris will be releasing a special split 7". Limited to just 1000 copies, the record finds each band covering a song from the other. Includes download code for both songs + two tracks from each band's discography. The vinyl was pressed in collaboration with Sargent House and is available for pre-order in our store now. Pre-orders ship Dec. 3. Available in stores Nov. 23.